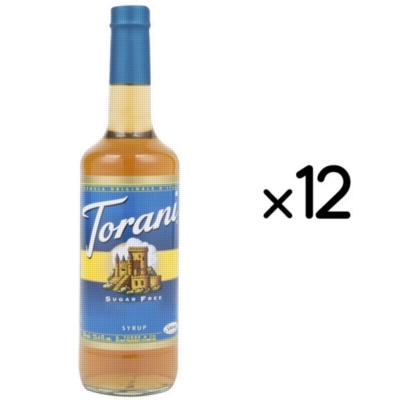 Torani Sugar Free Flavored Syrups - Assorted Case - 750 ml. Indulge yourself fully with none of the worry with Torani's Sugar Free syrup line. Choose from a variety Torani sugar free syrup flavors, from vanilla to english toffee to white chocolate to make your drink extra flavorful without the extra guilt. Sweetened with Splenda. Assorted case features 12 different 750 ml glass bottles. Save more per bottle!